Thar’s Hair on Them Thar Hills! Recently the Edmonton Journal ran a photo essay and article about the Hamlet of Hairy Hill, which included the story about the origin of the name (see the Further Reading section below for links). 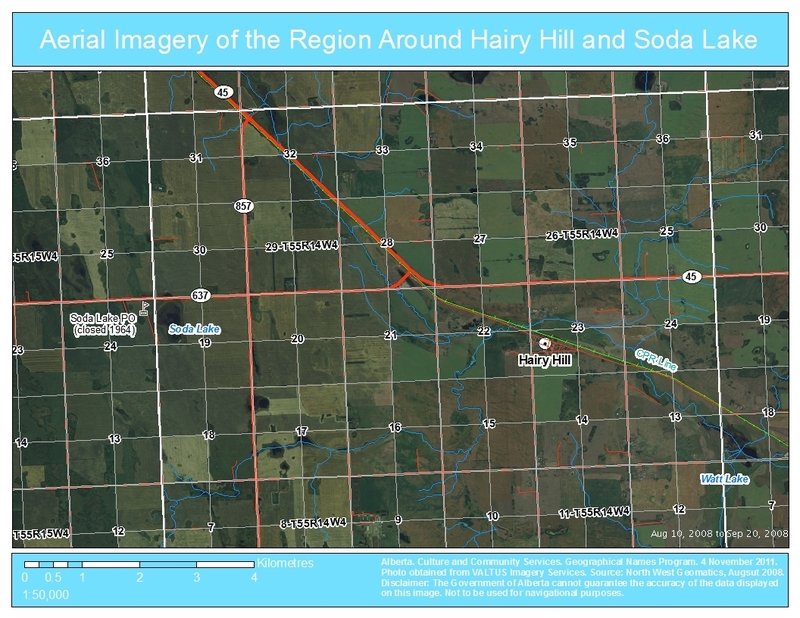 Hairy Hill is undoubtedly one of the most unusual place names in Alberta. It is a name that frequently raises questions, not to mention more than a few eyebrows. 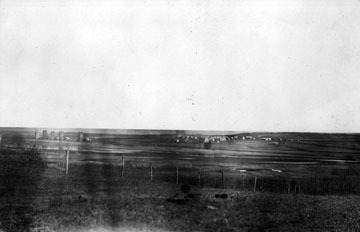 The first settlers, on moving into this district … chose the site for their new homes on a large flat hill. This hill, however, was somewhat different from any other they had seen. Everywhere they looked they saw large mats of hair covering the ground. Naturally they were puzzled, but with the coming of the spring also came an answer. One bright morning they saw a hundred or more buffalo roaming lazily along the slopes of the hill. On going to the spot they found fresh mats of hair. This solved the “hairy mystery,” and also suggested a name for the locality – Hairy Hill. Bison, or buffalo as they are commonly known, have lived in central Alberta for thousands of years. The area around Hairy Hill would have been an especially attractive region because it straddles the boundary of two eco-zones: the plains to the south and the parkland and forest to the north. As such it offers access to and advantages of both regions. Hilly areas offered lush grass, greater moisture and some protection from extremes of weather. So it is reasonable to suggest that Hairy Hill was a popular spot for bison herds. This could account for the historic records of great amounts of buffalo hair found on the hill by early settlers. Year after year, while there was still bison roaming the plains, they would return each spring to this hill, leaving new deposits of hair over its surface. The settlers called the place Hairy Hill. The unusual name stuck, gained a following and in 1907, the regional post office was given the name Hairy Hill. As the writer of the Edmonton Journal article points out, Hairy Hill’s history is a common one for many of Alberta’s rural communities – a promising and optimistic start followed by disappointment and decline. The population of Hairy Hill grew, slowly but steadily, over the first few decades. In 1928, the Canadain Pacific Railway built an east-west line through the community. Soon after the completion of the rail line, Hairy Hill boasted a large school, numerous stores, and up to six grain elevators. By 1946 the population had reached 235 and the community was erected as a village. The population continued to grow, reaching a high of 250 in 1948 before beginning a steady decline, falling to 136 by the late-1960s. The population dropped precipitously through the 1970s and 1980s, reaching a low of 54 people by 1993. In 1996, the village was dissolved and Hairy Hill became a hamlet under the jurisdiction of the County of Two Hills No. 21. Description: Approximately 18 km northwest of the Town of Two Hills and 11 km southeast of the Village of Willingdon. Chrapka, George. “How Hairy Hill got its Name,” Alberta Folklore Quarterly, Vol. 2 no. 1 (March 1946), p. 34, available from the Alberta Folklore and Local History Collection, University of Alberta Libraries http://www.ourfutureourpast.ca/folklore.html. Lucas, John. “Gallery: Hairy Hill,” Edmonton Journal, 29 October 2011, Available from http://www.edmontonjournal.com/news/photos/Gallery+Hairy+Hill/5628500/story.html. Mah, Bill. “Hamlet of Hairy Hill Fading Slowly Into Alberta’s Past,” Edmonton Journal, 30 October 2011, Available from http://www.edmontonjournal.com/news/Hamlet+Hairy+Hill+fading+slowly+into+Alberta+past/5630654/story.html. Please Note: The Heritage Survey exhibit can be viewed during regular open hours, Tuesday through Friday from 9 am to 4:30 pm, and until 9 pm on Wednesdays. It will be up until the end of January. Please note that the Provincial Archives of Alberta will be closed December 26-28, 2011. I am a new Heritage Conservation Adviser working for the Historic Resources Management Branch at the Ministry of Culture and Community Services. Having just moved here from New Brunswick, I am looking forward to learning more about Alberta’s distinct heritage and adapting my architectural knowledge to help you conserve it for future generations. 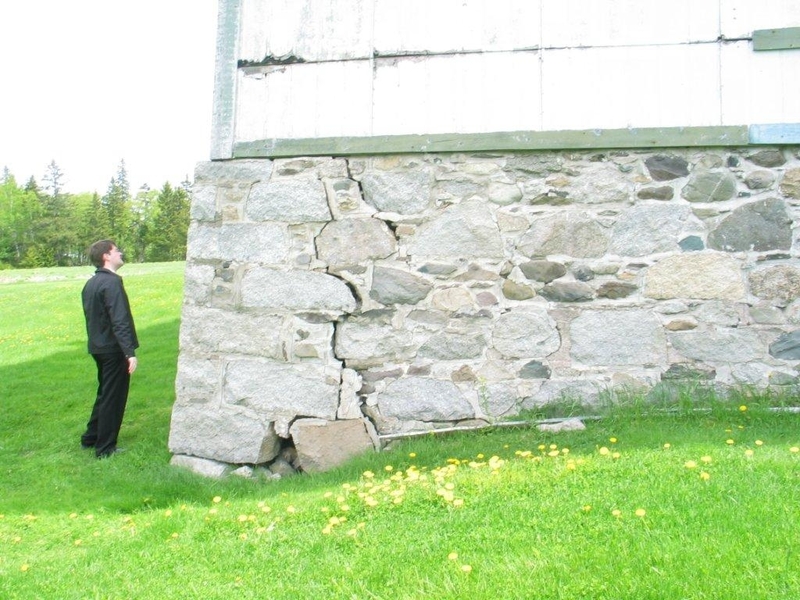 Carlo assessing the foundation of the main barn located on Minister’s Island Provincial Heritage Place, New Brunswick. Prior to my current position, I was a Project Executive for the Government of New Brunswick’s Heritage Branch. I provided technical advice on conservation methods based on the Standards and Guidelines for the Conservation of Historic Places in Canada. I worked with government owned sites and processed applications for historic designations under the New Brunswick Heritage Conservation Act. Before working in heritage, I dealt with Building Codes and Capital Maintenance issues as an Architectural Technologist for the Community Colleges and Employment Counselling Offices in New Brunswick, and as an Operations Coordinator for a property management firm in Ontario. These experiences have enabled me to see both sides of the coin in terms of the challenges faced in maintaining and upgrading our historic resources, while at the same time conserving heritage values for the future. I hold a Bachelor of Arts and Honours degree in the combined majors of Art History and Architecture from Carleton University, as well as a diploma in Architectural Technology from Algonquin College. In my job experience I also obtained certifications as a Professional Technologist and as a Qualified Building Code Official. From a heritage perspective, I also represented New Brunswick in the review of the second edition of the Standards and Guidelines for the Conservation of Historic Places in Canada and provided examples for a Parks Canada study on how the Building Code can affect or is applied to heritage buildings. Leaving my family, friends and colleagues in New Brunswick and Ontario wasn’t a very easy decision, but I am certain that the new experiences I will have in Alberta will make me glad that I did. NOTE: Carlo will be responsible for serving the Edmonton Region. 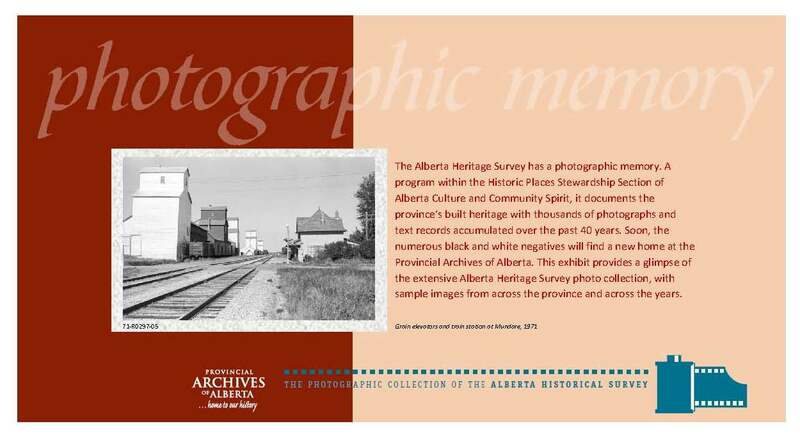 Please click here to view a map of Alberta showing the areas serviced by all of the Heritage Conservation Advisers. “Roadmap to Success” – Thank you for a great FORUM! – A brief overview of the two day event. “The Other Side of the Rockies” – The keynote presentation, which featured case studies from British Columbia. What information did you miss? – Presentations from the four breakout sessions. Remembrance Day – A photo essay featuring the venue – the beautiful Prince of Wales Armouries. “Show and Tell” – A Learning Exchange! – Presentations about municipal heritage projects. Do you want to be memorable? 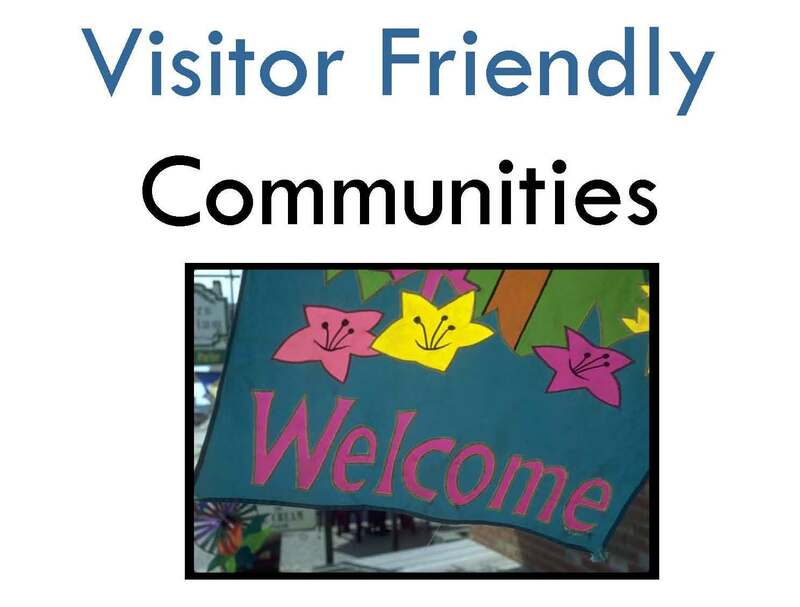 – A presentation about making your community visitor friendly. Thank you for your interest and attendance at the 2011 Forum. Planning for the 2012 Municipal Heritage Forum is already underway! Do you want to be memorable? What makes a community memorable? How can a community encourage tourists to return? Shelia Campbell spoke about these issues at the 2011 Municipal Heritage Forum. Promoting a community’s historic resources is one way a community can distinguish itself. Shelia Campbell, a Tourism Product Development Coordinator with Alberta Tourism, Parks and Recreation, challenged us to think about what makes a trip memorable. Is your community visually appealing? Can visitors find their way easily? Are services offered of good quality? Can visitors find good information about your community? How can historic resources contribute to these goals? For a complete collection of the 2011 Municipal Heritage Forum presentations, please click here. “Show and Tell” – A Learning Exchange! 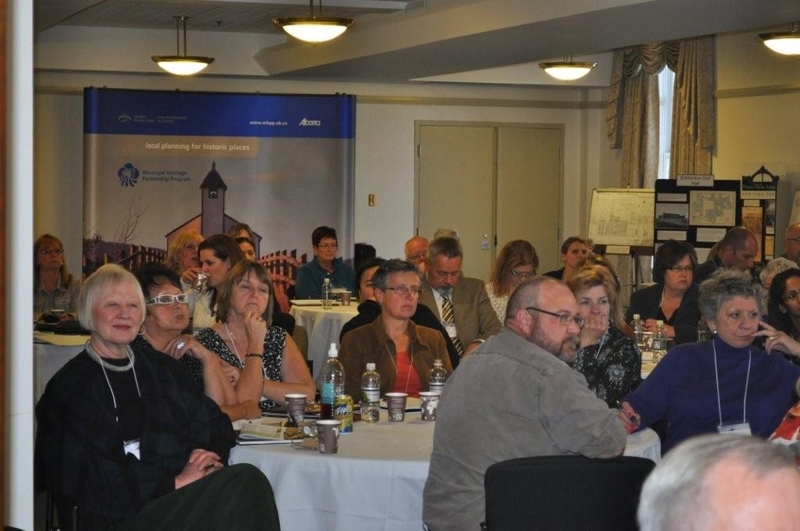 The 2011 Municipal Heritage Forum on October 27th and 28th featured “Show &Tell” sessions. Several municipalities working on municipal heritage planning projects with the assistance of the Municipal Heritage Partnership Program shared their experiences with the attendees. 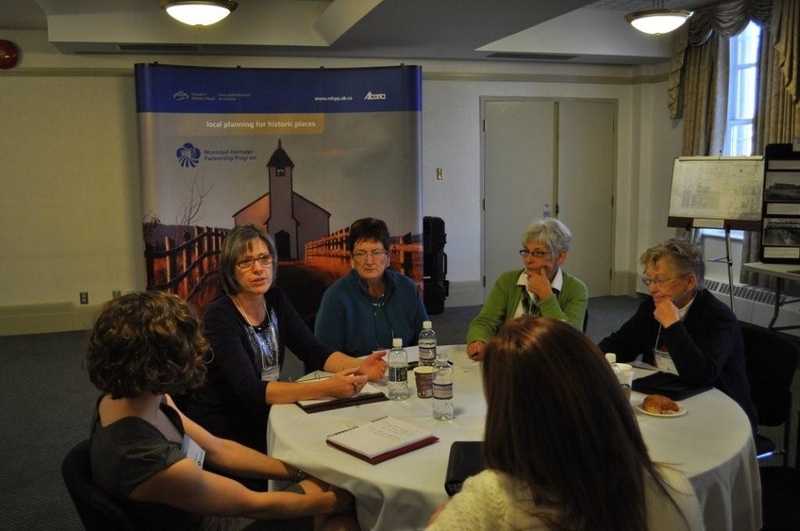 A mix of rural and urban municipalities spoke about their heritage projects, showcasing the opportunities, challenges and rewards that can result from identifying and evaluating potential historic places. Yellowhead County’s Municipal Heritage Program – talked about how the County prepared to complete a Municipal Heritage Survey. Overview of Lacombe’s Heritage Program – spoke about some of Lacombe’s historic resources and how the City is working to conserve them. Neon Light Museum, Historic Resource Management Program – talked about Edmonton’s plans to develop a museum of historic neon signs. Smoky Lake Region: Survey and Inventory Project and Heritage Management Plan – talked about the final year of their three year regional project. Village of Holden Heritage Program – an overview of their Municipal Heritage Survey and Inventory, and future plans. Conservation of St. Albert’s Grain Elevators – talked about the recently completed conservation work on two municipally owned grain elevators. 2011-12 Calgary MHPP Project – Bridges – an overview of Calgary’s inventory of all the bridges and crossings located in the city. Heritage Site Survey – talked about how GIS assisted with planning their Municipal Heritage Survey. These presentations provide insights and inspiration to other municipalities interested in developing a local heritage conservation program. If you have any questions about how your municipality can participate in the Municipal Heritage Partnership Program, please contact MHPP staff. Note: For a complete collection of the 2011 Municipal Heritage Forum presentations, please click here. Several buildings constructed for Canada’s military are designated historic resources. These places can help us understand how soldiers preparing for service lived and worked. Tomorrow being Remembrance Day, we thought it appropriate to feature a piece of Alberta’s military history – the historic resource that Municipal Heritage Forum attendees experienced firsthand at the end of October. The Municipal Heritage Forum was held at the Prince of Wales Armouries in Edmonton. Most participants enjoyed meeting in this historic place. The Prince of Wales Armouries is a great example of how to adaptively repurpose a historic place. Several City of Edmonton staff members provided an excellent behind the scenes tour of the facility. We learned how the building was rehabilitated to meet its new role as an archive, museum and meeting facility. As part of the tour, we had the opportunity to hear Timothy O’Grady (Archivist, City of Edmonton Archives) speak about the history of the building. Click here to view Timothy O’Grady’s photo essay. The Prince of Wales Armouries was built in 1915 to give the Department of National Defence a place in Edmonton to train men for service in the militia. Essentially a huge drill hall, the soldiers who trained here served Canada in both world wars and in many other operations. 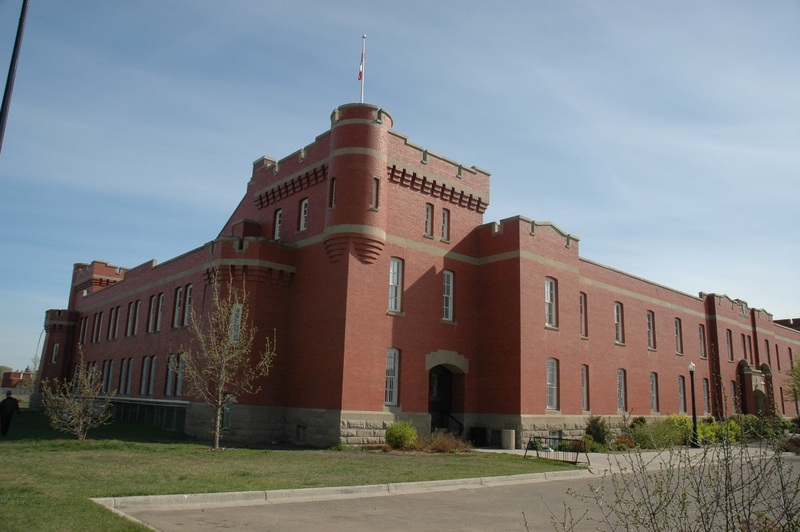 In recognition of the building’s historic use and its distinctive architecture, the armouries was designated a Provincial Historic Resource in 1979 and then a Municipal Historic Resource by the City of Edmonton in 2004. The City of Edmonton acquired the facility in 1977. In 1989 the city began constructing a new archive facility in the centre of the drill hall. The Armouries is now home to the City of Edmonton Archives and several museums.